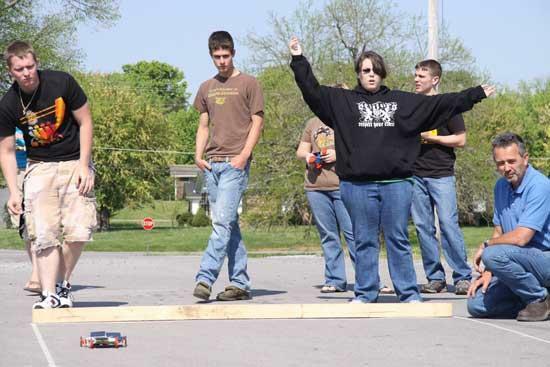 Students in the Physics class of Maxine Dawson and the Agricultural Science class of Bill Bowman participated in the Solar Car Competition 2010 Wednesday morning at Cannon County High School. The objective of the competition was to design and build a solar-powered vehicle that could complete in a variety of racing tests. It was held in recognition of Earth Day 2010, which is Thursday. Participating teams were provided a solar panel, a motor and a set of wheels. The teams were urged to use other recycled materials in construction of the solar-powered vehicles. Supplies for the cars were purchased with a grant from the Cannon County Youth Dream Foundation. Prizes and awards were provided by St. Clair Solar (Lawrence McCoy), Astera Business Solutions/Astera Green (Kiffin McCoy), Dollar General (David Rogers), Autozone (Avery Youngblood), Sonic of Woodbury (Casey Robertson) and Hardee's of Woodbury (Brandy Parker). The length of the racetrack was 34 feet. A prize of $25 was awarded to the point leader. Additional prize categories were for fastest, greatest distance in a straight line, and best design. Very Cool! 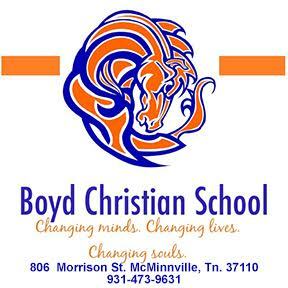 Way to go Mrs. Dawson and Mr. Bowman.